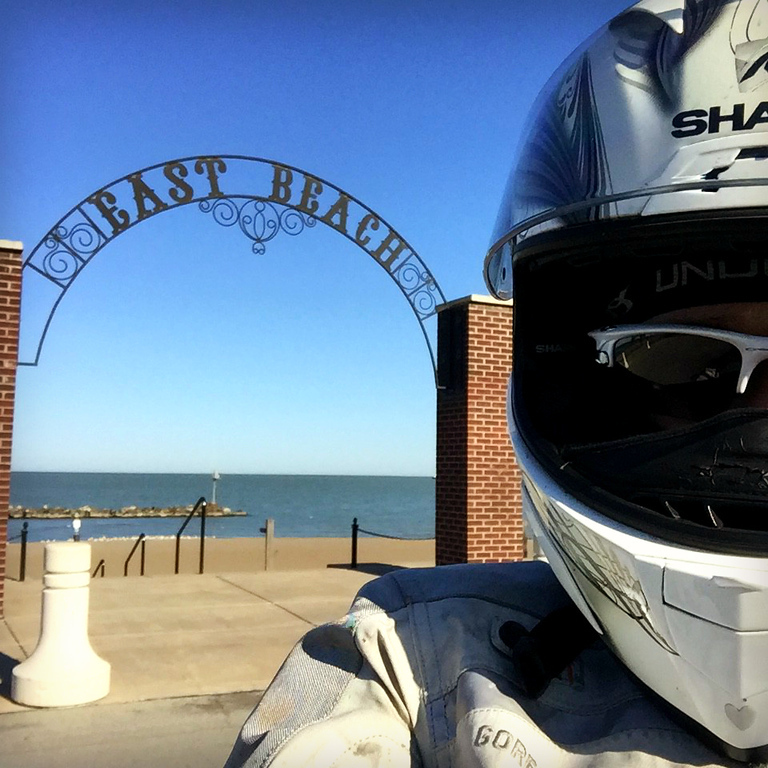 With my belly grumbling, I decided to stop for a spell at Lakeview Park along Lake Erie to eat my electric banana. I didn’t know anything about the park, I just happened to see that it had a waterview. 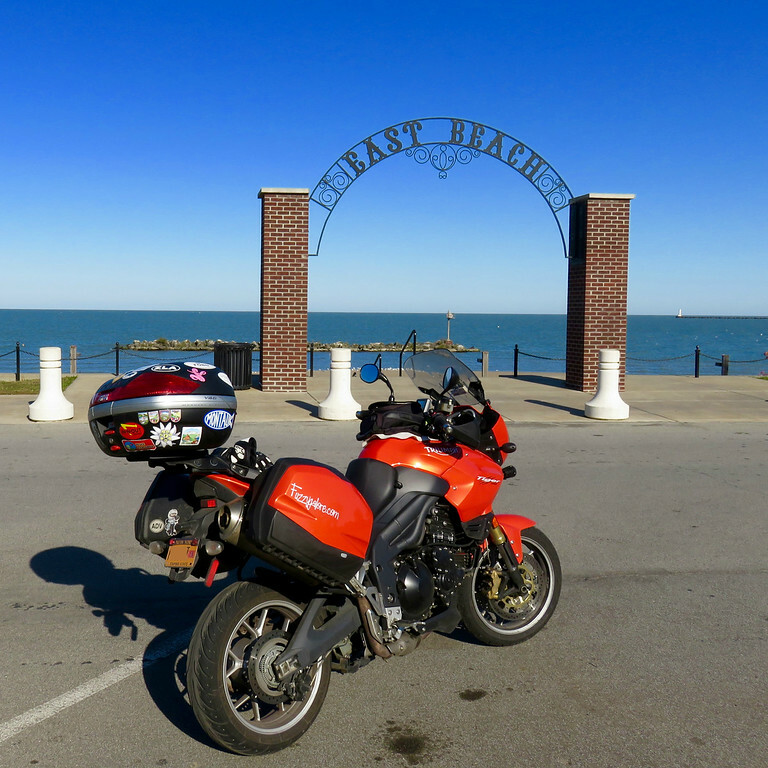 Though my morning ride was just little over a hundred miles since leaving Napoleon, Ohio where I’d spent the night, with everything I’d seen so far, it felt like I’d already been riding for a long time. The park was a perfect place to take a breather. After parking myself on the steps I looked out to the infinite horizon, marveling at the size of the lake. 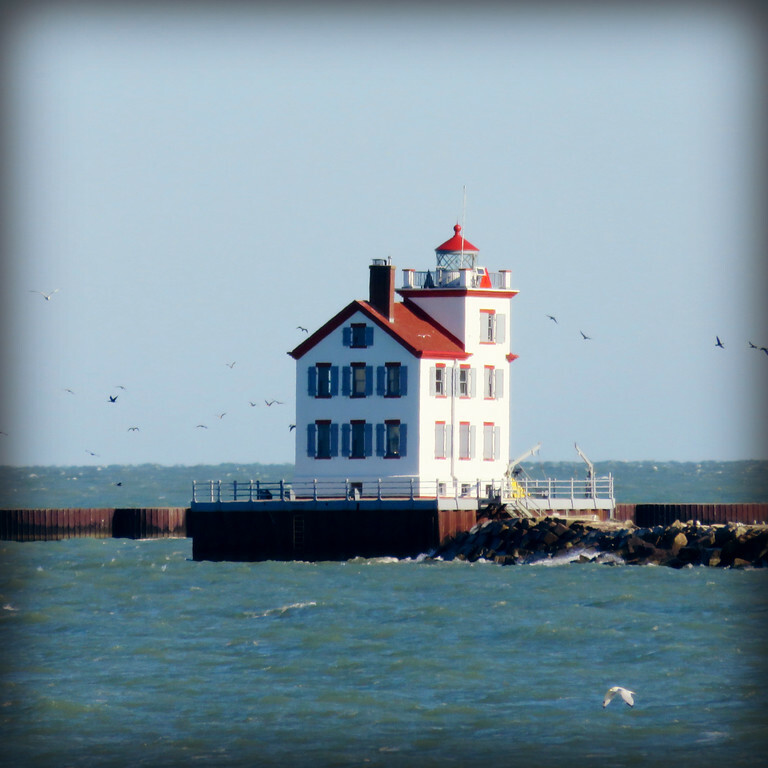 I was pleasantly surprised to find a lighthouse bracing against the wind off to the east. Cool. My bananas run on batteries. 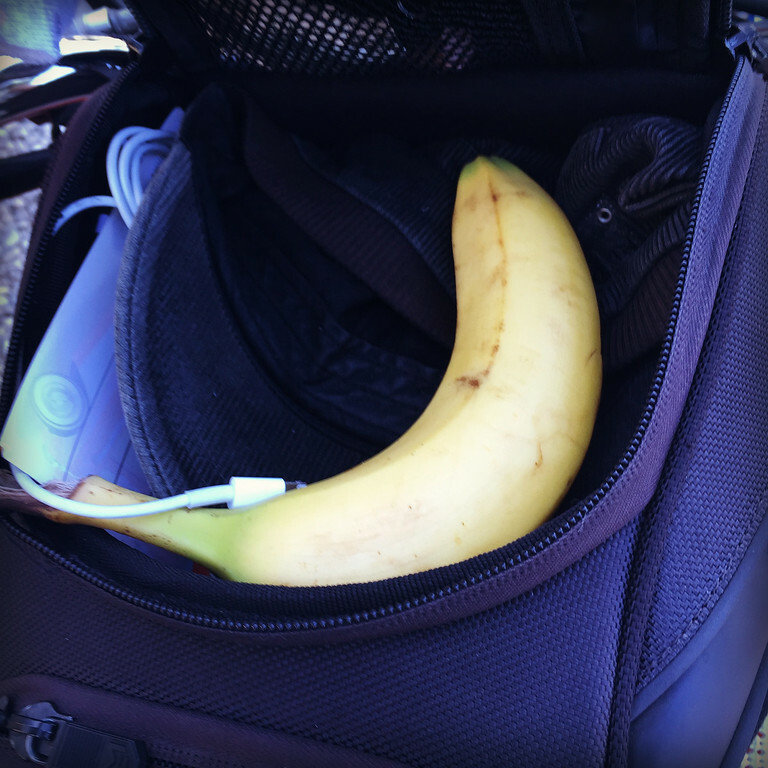 😆 Analog banana – you’re such a hipster! Great photo of a magnificent light house.